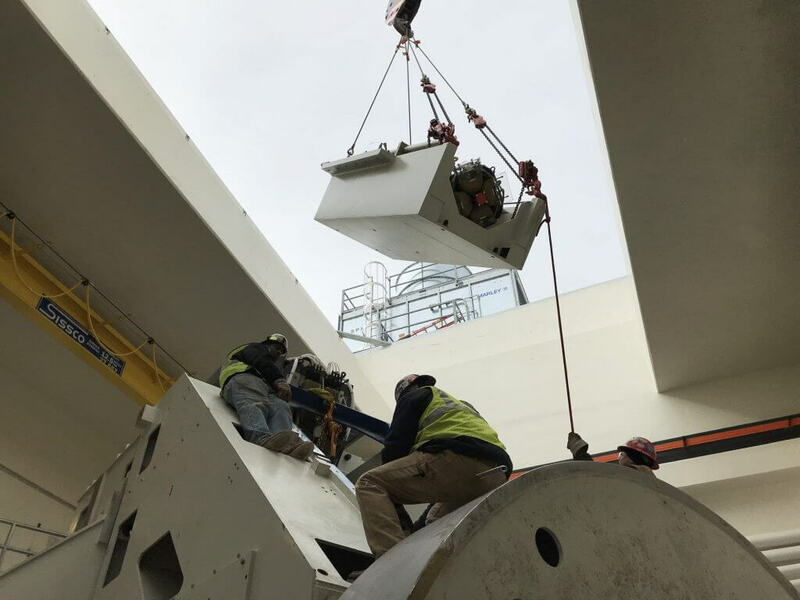 Earlier this year, the Carpenter Contractor Alliance of Metropolitan New York had the special opportunity to tour the construction of the New York City Proton Therapy Center in East Harlem, New York. 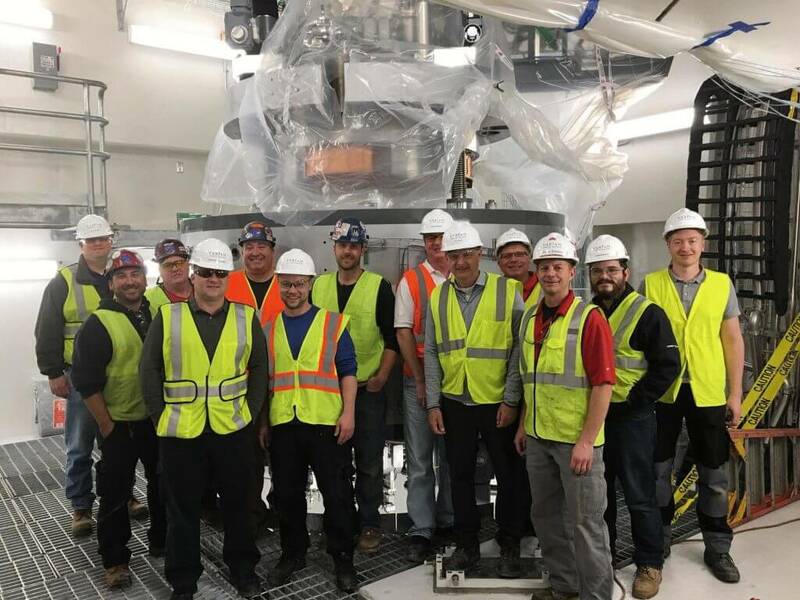 They spent the day with some members of Millwright Local Union 740, Varian Medical Systems and Bay Crane to learn about proton beam therapy and the value of having a specialized facility in New York. 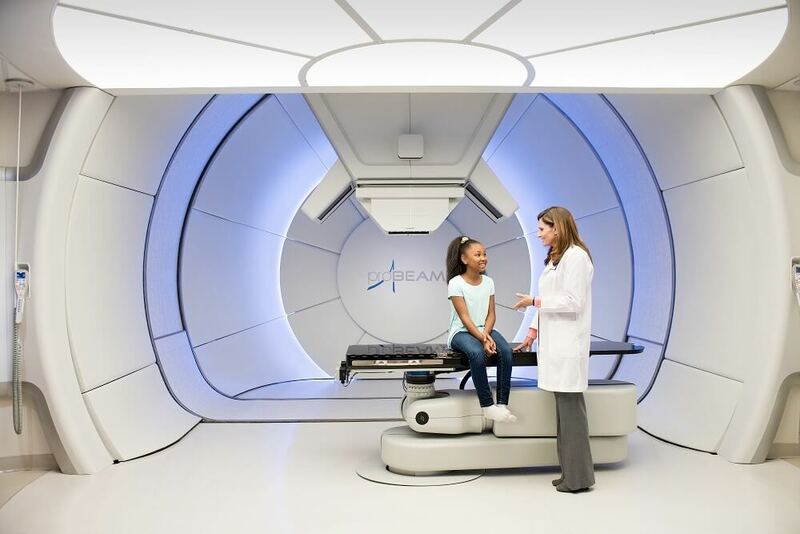 The NYC Proton Therapy Center will be the first and only cancer treatment facility of its kind in the state of New York (there are currently 27 operational Proton treatment centers in the U.S.). Cancer treatment often requires prolonged commitment and travel when treatment options are limited. 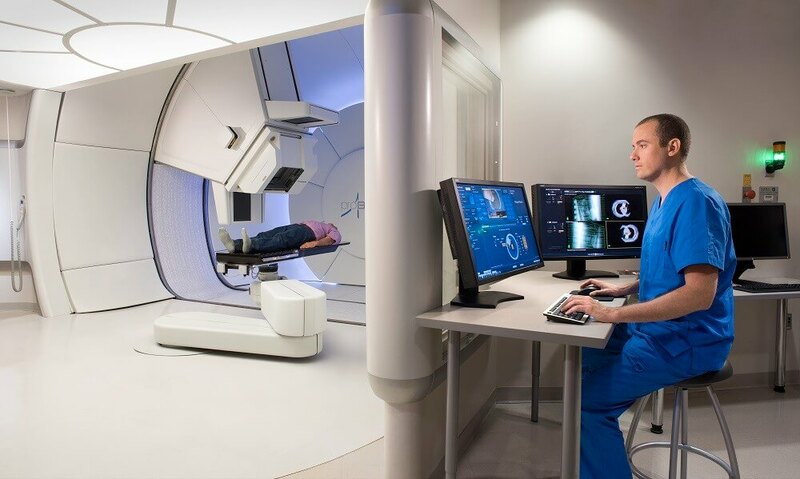 The introduction of a specialized radiation treatment facility in New York City will mitigate the expense of travel and give local cancer patients the ability to access radiation treatment that may not have been an option in the past. Construction of the proton beam therapy center has been in the works since 2009. 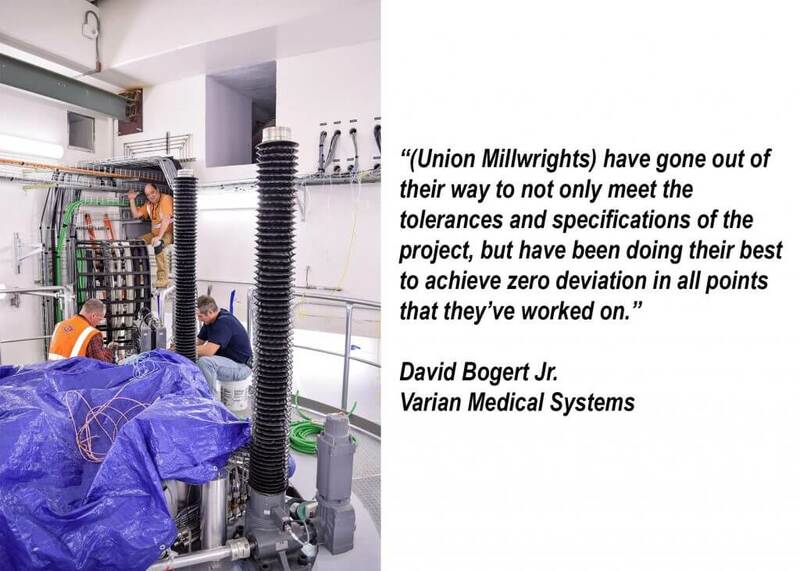 This past October, the medical equipment was delivered to the site and installed by members of Millwright Local Union 740 in conjunction with the engineers from Varian Medical Systems. 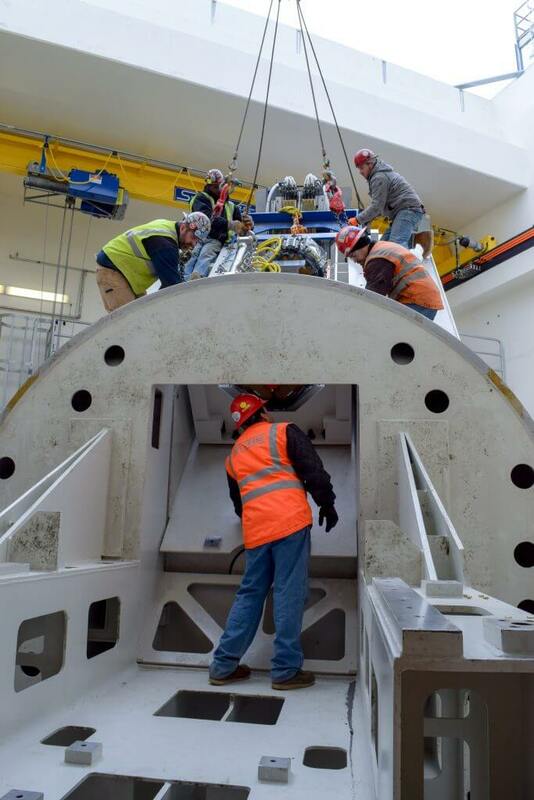 Pictured: 90- ton cyclotron accelerator is raised and lowered on to a stable surface before being moved to its permanent destination in the facility. Bay Crane is the contractor on the site and is responsible for the delivery and installation of the mechanical equipment. Before being placed, Union Millwrights used laser alignment tools to center the cyclotron and welded the base plates for the upright columns that would be used to support the accelerator. 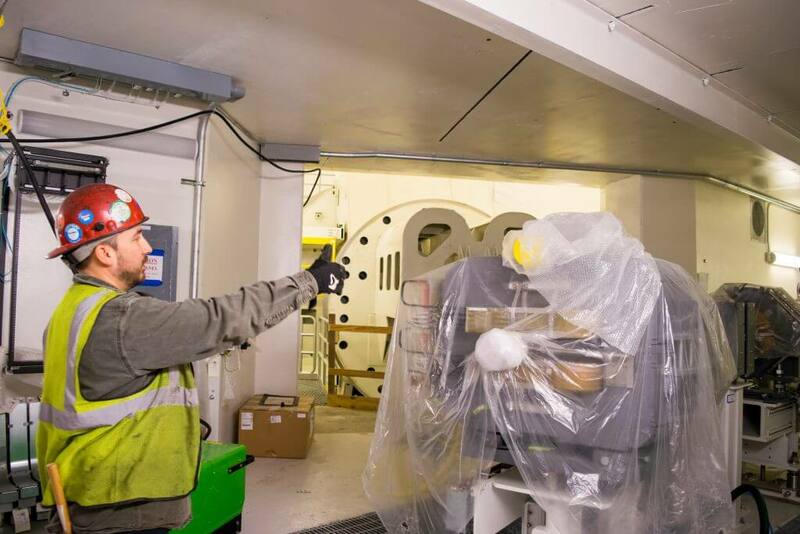 The cyclotron is the first step in generating a source of protons to be accelerated through the proton beam before reaching the patient. It contains a superconducting magnetic field that contains the protons until the final energy of 250 million electron volts (approximately 60% of the speed of light!) is achieved. Union Millwrights worked in tandem with a Geodetic Network Survey team to ensure precision alignment and service for all the mechanical equipment on the site. Once the protons are ready for delivery, they are transported through a high vacuum steel pipe that focuses and steers the magnetic units. The pipes are connected to the steel gantry room, where the protons will reach the patient and the cancerous tumor. At the end of the pipeline, they came across a series of steel gantries, each under different phases in their construction. The steel gantry in the first room has been rotated 180 degrees in preparation for additional attachments. Precision is crucial in the installation of the machine -- a mere thousandth of an inch could alter and slant the rotation. Proper training and thorough planning by Union Millwrights are critical to the success of the machine's operation. The steel gantry in the first room has been rotated 180 degrees in preparation for additional attachments. 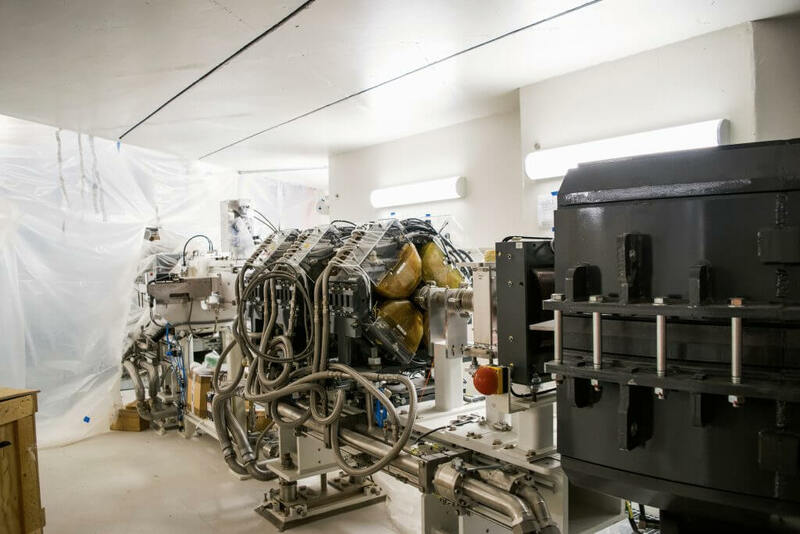 The New York Proton Beam Center will have four treatment rooms. Three of the rooms will contain rotating gantries, and the fourth room will house a fixed beam. 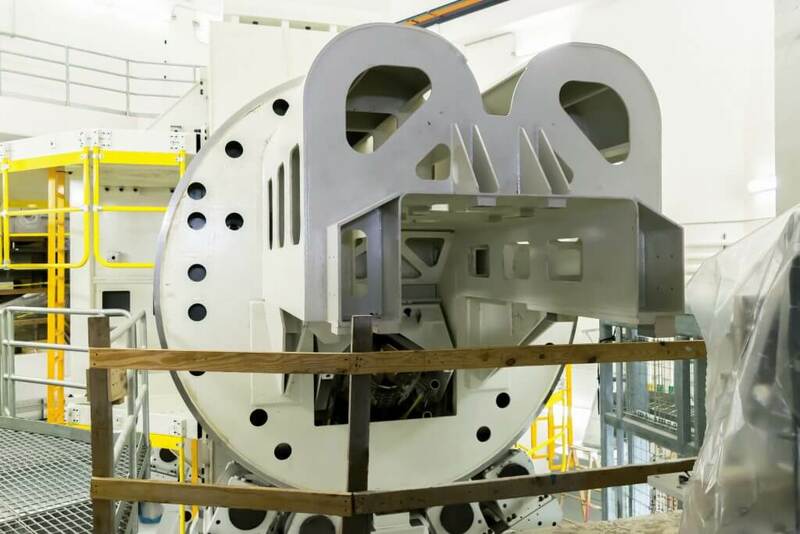 Once completed, the steel gantry will be able to rotate +/- 180 degrees around the patient to precisely deliver the proton beam to the exact shape and location of the tumor. 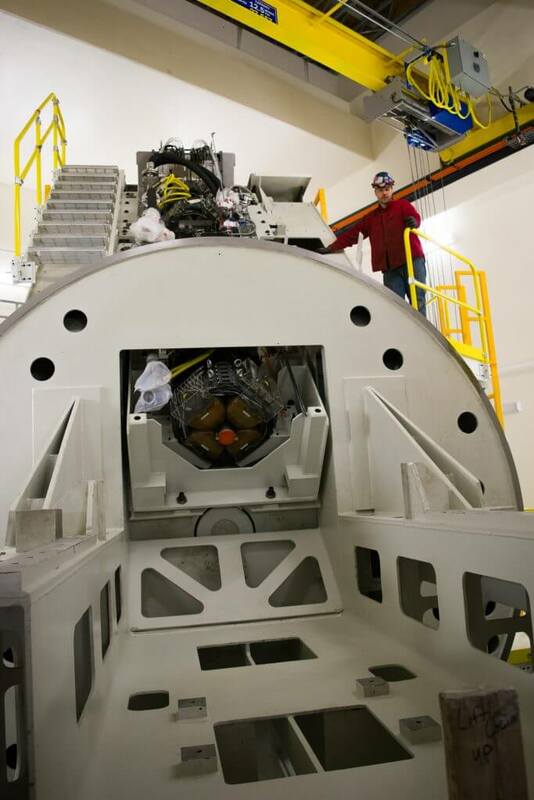 As they made their way down to the third gantry room, they got a front-row view of the magnet girder being installed. Union Millwrights worked together with others to safely lower the girder segments onto the spine of the Gantry. These spine magnets help transport the proton beam from the cyclotron to the patient throughout the +/- 180 degrees of rotation. The spine magnet being carefully lowered onto the surface of the gantry. Once the girder segment is lowered and placed onto the surface, it must be bolted down within a precise torque specification. Union Millwrights will then perform this alignment so that there is zero deflection in the beam as it travels to the patient. 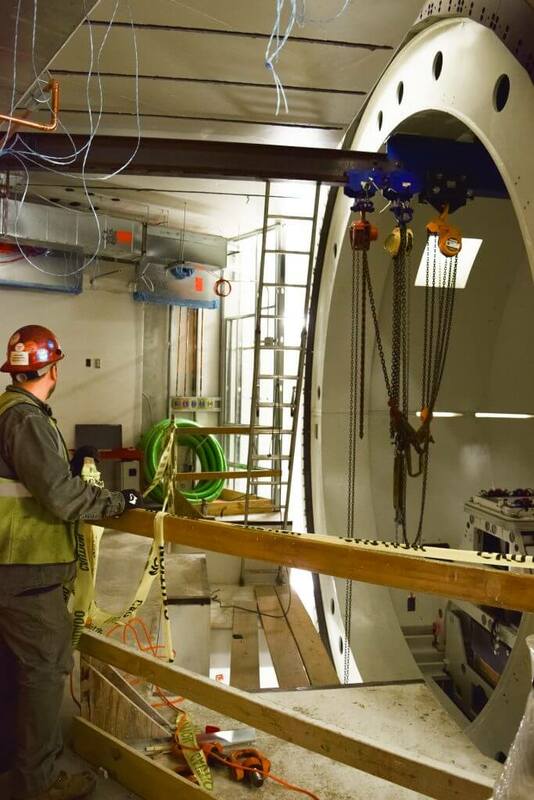 The second gantry room gave them a close-up view of what the magnetic girder segment would look like once it has been properly placed and ready for the next phase of its completion. 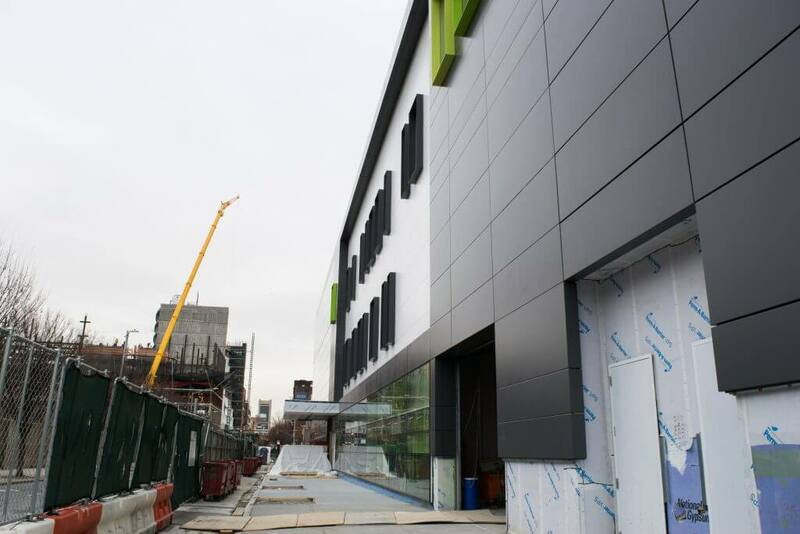 The New York Proton Center is a monumental addition to the New York City healthcare system. Once completed, the center will be able to treat dozens of patients daily, most notably children who are susceptible to organ damage from standard x-ray radiation treatment. The driving forces behind the new center are Memorial Sloan Kettering Cancer Center, Mount Sinai Hospital, Montefiore Medical Center and the New York City Economic Development Corporation. 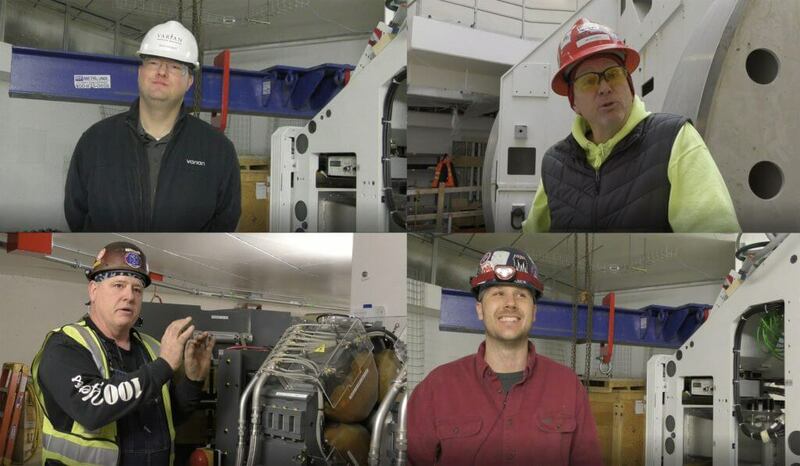 For exclusive interviews with the contractors and Union Millwrights on the site, click Here! We'd like to give a big thank you to all the union members who generously offered their time and expertise to inform CCA Metro about the equipment, processes and team effort necessary to bring this state-of-the-art facility to New York City. 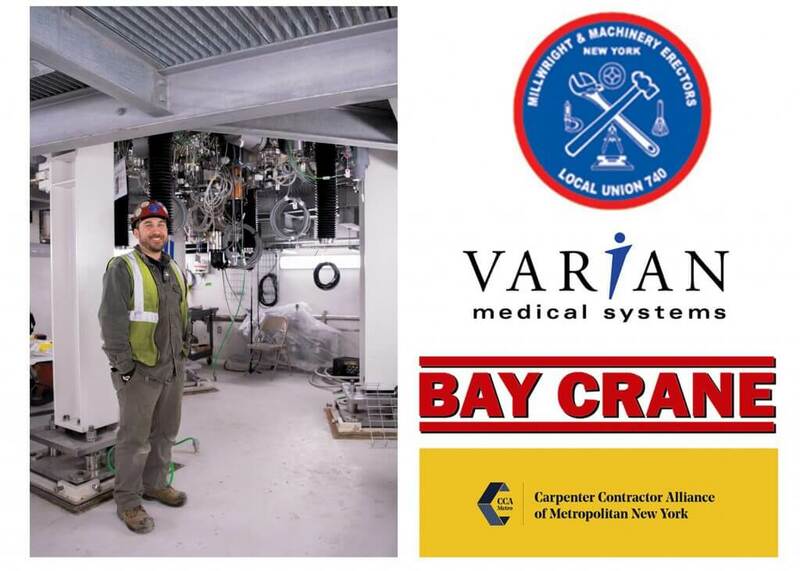 Special thanks to the engineers at Varian Medical Systems, employees from Bay Crane, general contractor Gilbane and the Local Union 740 Millwrights who are Building New York's Best!